As I did my fiftieth blog last week and it is also my aunty’s birthday today I decided to celebrate by doing a showstopper cake from Mary Berry’s Showstoppers cook book. 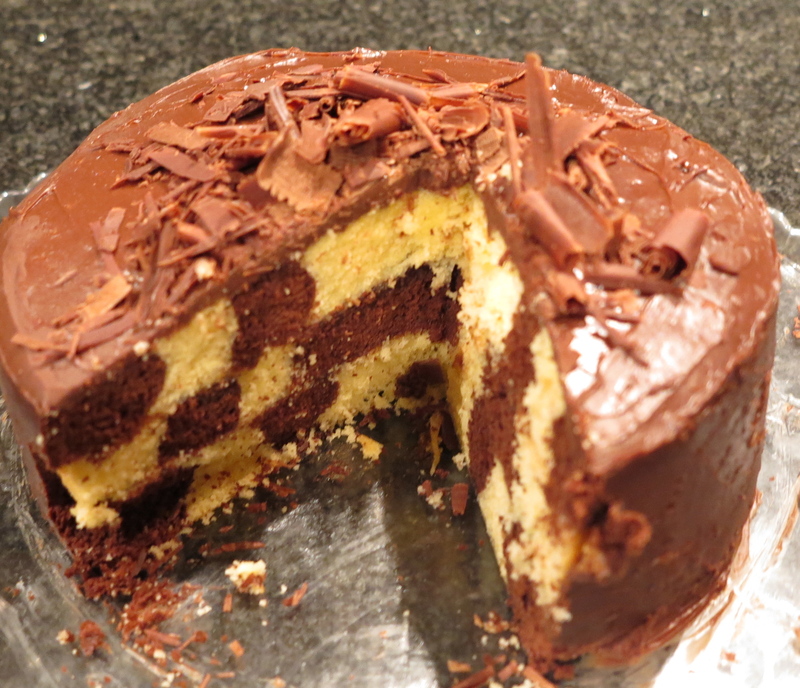 I have chosen to do a chocolate chequered ganache cake. Mary Berry says and it says it is not as difficult as it looks. To get the chequered look you have to split the cake mixture up into three tins but it’s not just about putting cake mixture into a tin you have have pipe the mixture into the tins switching between a chocolate and a plain mix. 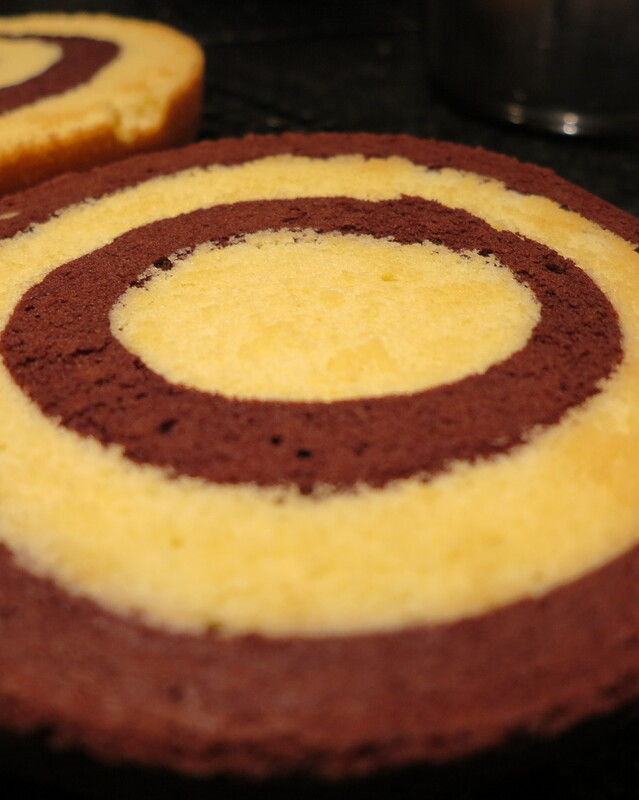 Making the cake was not the hardest bit but getting the chocolate swirls that went on top of the cake was really hard. My first attempt ended up with no swirls and big blob of chocolate on the work surface. After I cleaned up my first mess I then tried again and this time I got got some great twirls. 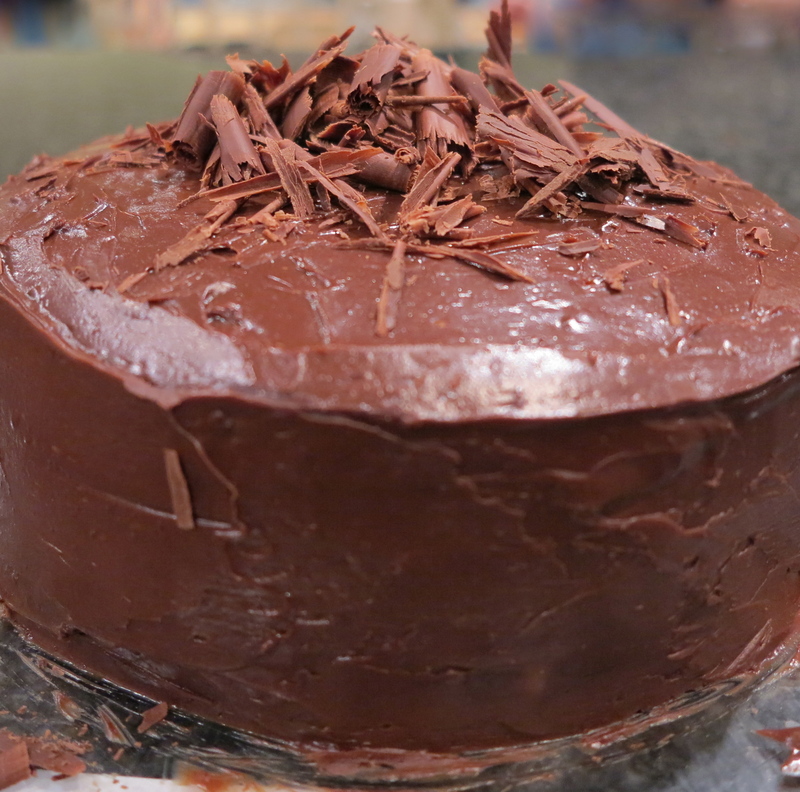 The cake is filled with a ganache and the outside is also covered with a ganache. A ganache is made from chocolate and cream. Some people say Ganache came from Switzerland and was used for making truffles and other people say it came from France where it was used for cakes. I really enjoyed this bake and the best bit was when my aunty cut into the cake and saw the checks.